The Palestinian Social Cinema Arts Association (PSCAA) believes in the importance of cinema as a means to develop youth and spread the culture of non-violence, tolerance and reconciliation. Cinema is a unique form because it is able to transcend illiteracy; therefore it can be easily viewed and digested by everyone, regardless of age or education. This is particularly relevant to the isolated villages and camps that we have been serving since 2008. Cinema also helps preserve the collective memory of people as it enhances national unity and identity on the community level. Throughout history the cinema of Palestine has played an important role in the Palestinian struggle as a tool of self-representation and communication. For this reason, the PSCAA aims to re-inspire and increase the value of this cultural tradition and reinvigorate the habit of seeing cinema. Lastly, while there are hundreds of films made about Palestine, very few of these films are made by Palestinians. 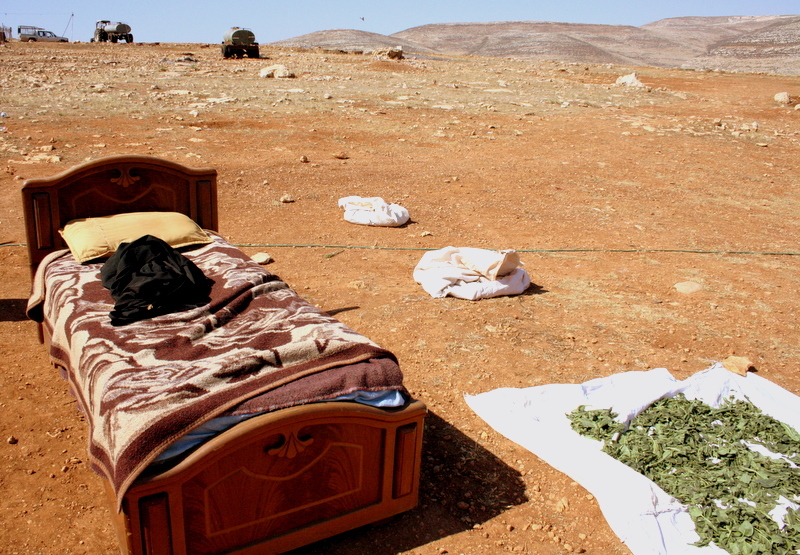 This is due to the lack of infrastructure in Palestine for cinema production — no cinema schools, archives or funds. This creates a void for new talents to gain experience in Palestine and inevitably results in the exile of many young filmmakers. 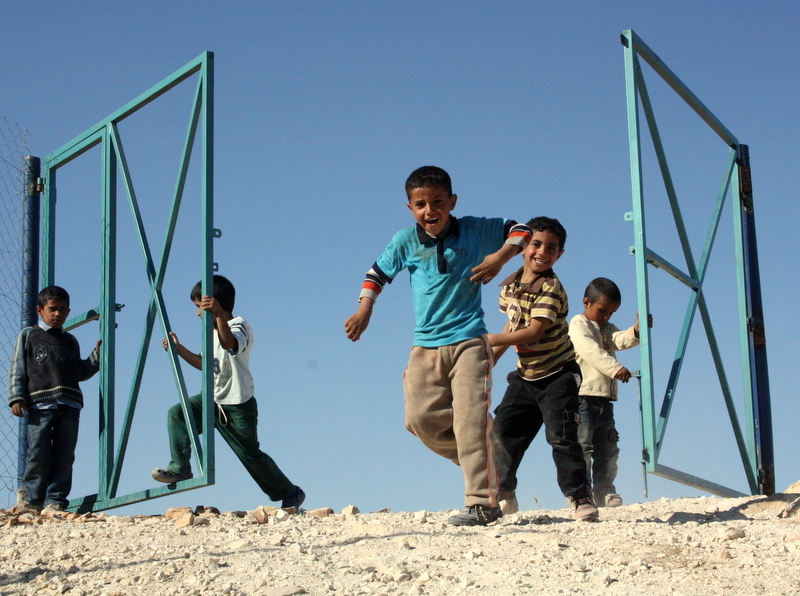 The PSCAA was established in February 2008, and as of 2009 is an officially registered NGO in Palestine. Its main objective is to develop Palestinian cinema through three main projects; Palestinian Mobile Cinema, Annual Film Festivals and Open Air Cinemas. Our vision is based on an understanding and a need to use cinema arts as a social tool for social change and development. In addition to bringing cinema to the general public, our projects focus on training youth and creating opportunities for professionals in the media arts and film production industry in Palestine. 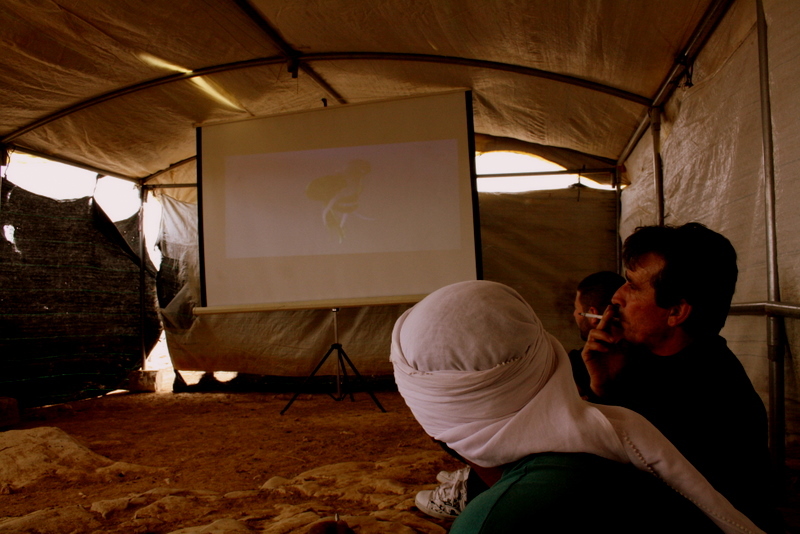 The Palestinian Mobile Cinema (PMC) project, established and run by the PSCAA, was a major activity that took place in Palestine the last two years. The notion of mobile cinema was introduced to the community and the association succeeded in screening local, regional and international films in several rural communities that have never seen cinema before. Following the screenings, we also hold discussions about the films which create an egalitarian opportunity for women, children, the elderly and students to discuss social issues as a community. 2011 we were also successful in producing film festivals; one documentary and one fiction. 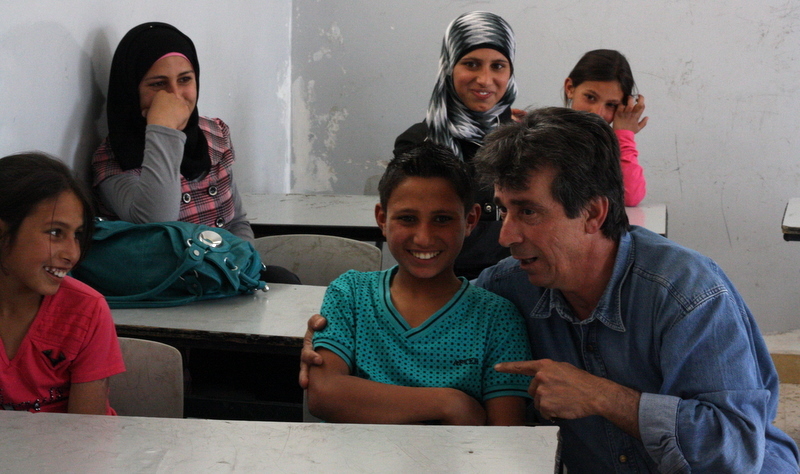 In June, we held a fiction festival, entitled “Insane” (Human), which took place in Ramallah. The public film festival was held outside and drew over 1,500 people. At the festival we screened six international films about human rights and feminism. International filmmakers, the Ministry of Culture and head of Ramallah Municipality attended the festival and spoke to the public about the importance of cinema and cultural development. In order to induce positive change in today’s societies, youth need to be given the chance to express their views and needs through the appropriate means. Cinema is an important tool in today’s hi-tech societies and allowing people to use that tool can enhance creativity, openness, and positive change. To organize and execute a Palestinian International human rights Festival that develops to be renowned regionally and internationally. A festival that would represent a unique cultural event that aims to enhance the dialogue between the cultures and emphasize the spirit of human rights in today’s societies through cinema done and directed towards today’s cultures. Our aim is to celebrate distinctiveness through the world of cinema, and utilize it as a tool of positive communication between the nations and the people. Our mission is to develop and enhance local and regional young talents in media arts that would help develop the media industry at the different levels. The festival is an annual event that should not be missed as it highlights the distinct and diverse culture of Palestine. We see the Festival develops as an important yearly event that leads to a distinct, diversified, and solid cultural about human rights in Palestine. • Enable young talents in Palestine to develop their media and arts skills in filmmaking through training, consulting, and coaching. • Be able to help young filmmakers to direct, produce and market their work. • Introduce the Palestinian society to regional and international films directed or produced by youth to enhance exposure to other cultures and filmmaking techniques. • Emphasize openness and dialogue between cultures along with the exposure to universal issues introduced in the different films and the ways each culture deals with it. • Encourage young female artists and filmmakers and enable them to achieve better quality and better distribution of their films. • Help develop the filmmaking industry in Palestine and the region. • Offer young artists from Palestine and the region a new cultural and dependable podium to express their views and problems. • Indirectly, our objective is to create a new tool for youth to enhance social change in their societies. • Create a youth filmmaking network locally, regionally, and internationally to exchange experience and expertise. We are aiming to have the second festival in June 23rd 2012. • Palestinian, and international filmmakers. 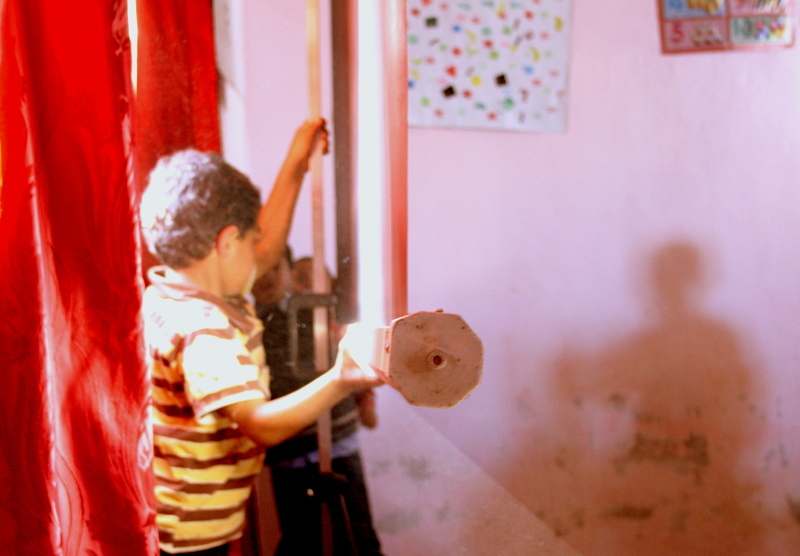 The Palestinian Social Cinema Arts Association is a newly established NGO in Palestine. The main objective is to develop the Palestinian cinema industry through its different projects. Its vision encompasses understanding the need to use media and cinema arts as a social tool for change and exposure. 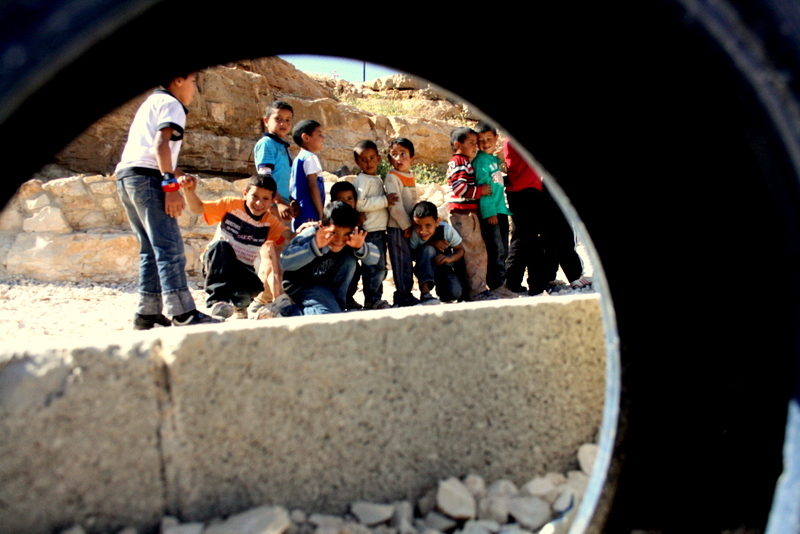 Its projects vary between training youth on media arts and filmmaking, to exposing the different Palestinian communities to international films. 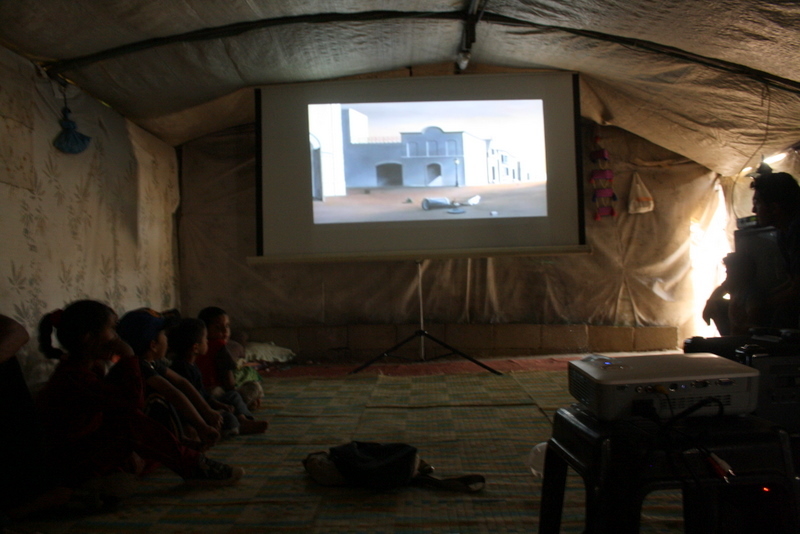 The Palestinian mobile cinema project established and run by the Association, launched 2008, was a major activity that took place in Palestine. The notion of mobile cinema was introduced and the association succeeded in broadcasting different films to several rural communities. The project triggered great interest from the different communities at different levels, women, children, the elderly and students all in several villages. The experience was very informative and we have noticed that such communities reacted positively to the idea of watching local and foreign subtitled films. The discussion on the social issues raised in the films was very energetic. The effects and success of the mobile cinema project led us to think at a deeper level. Many talents are wasted and not nurtured because of the lack of a proper institution or forum to nurture them. Many creative ideas are lost because of lack of finances, and the Palestinians are eager to get exposed to other cultures and experiences. We believe that the Palestine International youth Filmmaking festival will represent an important step towards developing the cinema industry as well as the society itself. Directly, the festival will offer an opportunity for the youth to develop their films and ideas, get the experience they crave, and the necessary direction and guideline both at the levels of directing and at the artistic level. The training we aim to give and the opportunity we offer these youth will be a first step towards empowering them. The festival will also help the Palestinian cultural movement get exposed, developed and credited. In spite of the occupation, restriction of movement, daily sufferings, along with the economic degradation which have all combined to add pressure on the Palestinians, these hardships have triggered amazing stories and experiences that remain in the collective Palestinian memory. Palestinians were able to express their feelings and problems through different arts: traditional dance, painting, music, poetry, etc. Filmmaking in Palestine has developed in recent years, but still needs to go a long way, in particular with a new generation that has lived new experiences. Apart from expressing the ideas and experiences artistically, filmmaking and the festival will introduce the Palestinians to regional and international stories that can demonstrate how people around the world deal with universal issues such as oppression, compassion, forgiveness, dialogue, accepting the other, etc.. It would help expose the whole society, not only the filmmakers to the international aspirations and experiences. This should trigger dialogue different levels, which could only be healthy and promising. We believe in the constructive dialogue. The dialogue that respects the positions of the other, and that promotes peaceful resolution of conflicts and differences. Tension in our region are very high, and only by giving people the opportunity to discuss and express their views, we can solve our problems peacefully. Cinema and art are both very useful tools to help people express as well as react. We believe that the festival will encourage dialogue among the society itself and introduce the others. Whether the films discuss social problems, gender discrimination, oppression, or the dreams of the young, we believe that such issues can intrigue interesting dialogues that might lead to social action and change. As mentioned above, we aim to present a forum for the youth, the women, the underprivileged from around the world. Our aim is to have a sustainable festival that would reoccur yearly, thus we will be specifically aiming for the best practices and an advanced level of organization and professionalism at all levels. Sustainability of the project depends to a large extent on our success in solid partnerships that would play a bigger role and open new horizons for future festivals. The success of our first festival will enhance our credibility and ensure wider support and participation from regional and international filmmaking institutions and filmmakers. It will also ensure more engagement from the different stakeholders and partners. We will pursue funding from different local, regional and international sources that are interested in a serious project that would develop a new filmmaking industry and ethos in Palestine. As for the viability of the activity, such a festival will be held in July, midsummer, since we believe that larger audience will be interested in attending., We are developing a price list that will possibly cover some of the expenses, yet care is being taken to ensure that the prices remain reasonable to ensure the attendance of a wider audience. Additionally , we are working on developing other sources of income that relate to the theme, such as selling DVD’s, short films, books and other marketing n promotional materials related to the participating films, directors and casts. The film festival will open the doors towards the development of specialized training programs for young directors that would be managed by our association in partnership with other local and international institutions. We see a high potential of growth of such a Festival. Participating films could increase; the numbers of young Palestinian filmmakers would also increase next year due to a well defined plan of action and aftermath. We are also aiming to increase the participation of the local community, local stakeholders and partners as well as at the regional level. We look forward to making the festival, a cultural cornerstone for the region that will intrigue international recognition and eventually be part of the world’s cultural movement. 1. Audience participation that can be measured by the number of viewers. 2. Organization level that can be measured by the input of the participants and the audience regarding the success of the organization of the festival. It will also be ensured by the commitment to hiring professional expertise at all levels. 3. The attendance of local and international media will also shed the light on the level of success achieved through the different reviews and articles to be written on this event. This would help correct any potential mistakes and setbacks. 4. The festival, as mentioned earlier, will have other indirect effects on the people, the audience in terms of exposing them to a new experience that could be life changing. 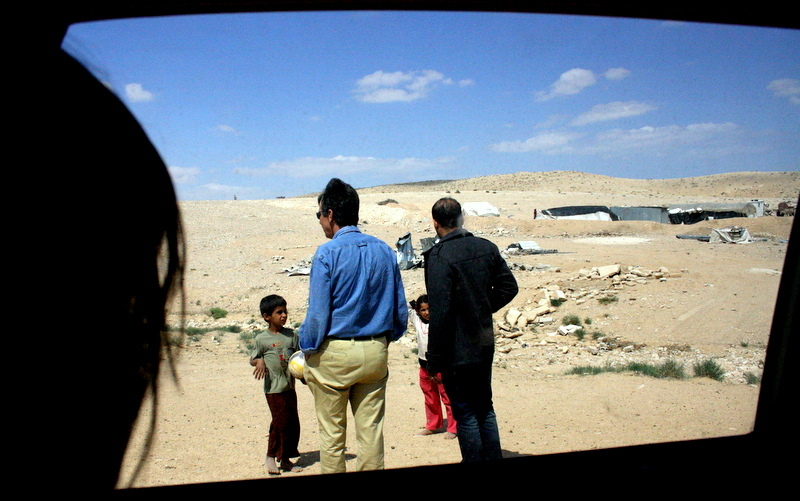 On Wednesday we drove out to one of the most remote communities we’ve visited yet, far removed from the city scape of Jericho or Ramallah the Ein Samiya community resides amid the dry and arid desert, without running water or electricity. As we passed the tractors used for bringing in water from nearby towns (for which they pay an unusually high price) and the drying tobacco from which much of the community earns their living, we came upon a tent erected especially for our screening purposes. 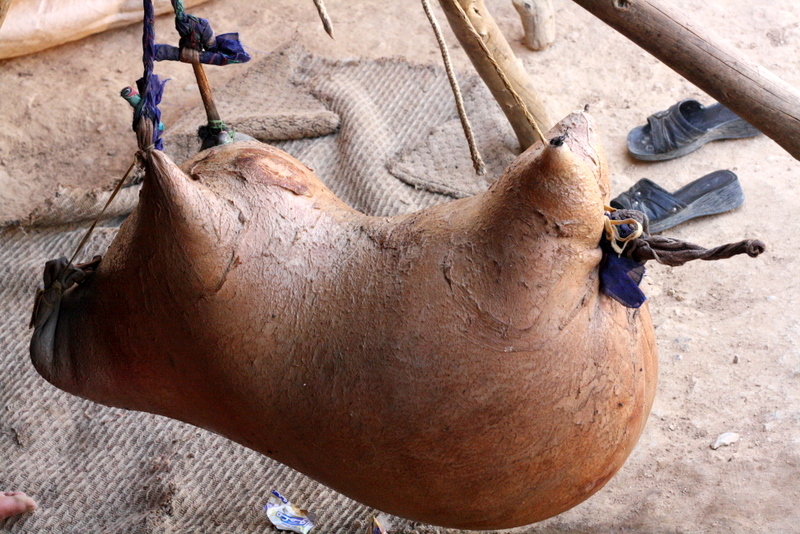 Inside there was a small turnout, primarily comprising of elders who, once given the choice, opted to see Budrus. Careful attention was paid throughout by the audience who were eager to discuss the events that occurred in the film, in particular their concern about the validity of what an Israeli soldier had to say in one of the interviews. 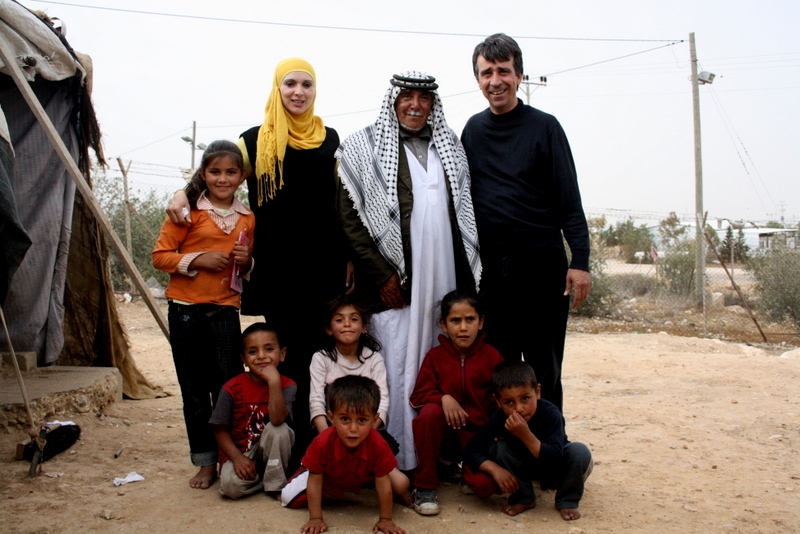 But overall it was agreed that they found much inspiration in story of Budrus, in particular, it was pointed out, because of the community’s close living proximity to an Israeli military compound which frequently caused them concern and harassment. A bed out for sleeping in the open! On Tuesday we revisited Anata to a warm and very expectant welcome. Arriving around 2pm the children were on their playtime break from school and as they saw the car coming rushed to open the gates and help us unload the equipment. The reaction this time round to our arrival, and the children’s knowledge of why we were there, was proof of our theory that building relationships and making regular visits to communities is one of the most important parts of our work. As it was early afternoon we decided to screen only children’s films, and our young audience knew the protocol even before being told, lining up excitedly outside of the classroom. The children had also become familiar with the equipment from our last visit, and surprised us with their knowledge of how to set up the screen, PA system and projector. Spirits were high as the selection of children’s animations and shorts played, and the children, accompanied by 3 female teachers, danced and clapped along to the lively soundtracks. Packing down was again aided by the audience, who told us excitedly about their thoughts on the lives of the different characters they had seen on the screen. 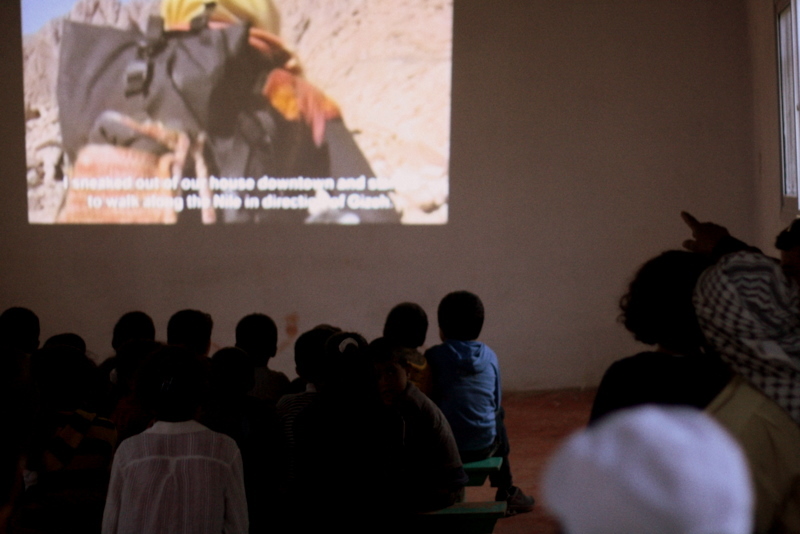 On Sunday the Mobile Cinema team drove out to Musafit-Beni-Naim, not far from Hebron where we were taken to a small classroom set high up on a peak of the sandy terrain. Our audience was a mixture of men and women, and a few children here or there who were fascinated by the large screen and its moving images, but were too young to follow the feature documentary once it started to play. We decided to screen Budrus due to requests from our audience for a film about resistance. After the screening Abu Dirgham addressed the audience with his thoughts on how they might take example from the film and what it meant to them as Bedouins and as Palestinians. 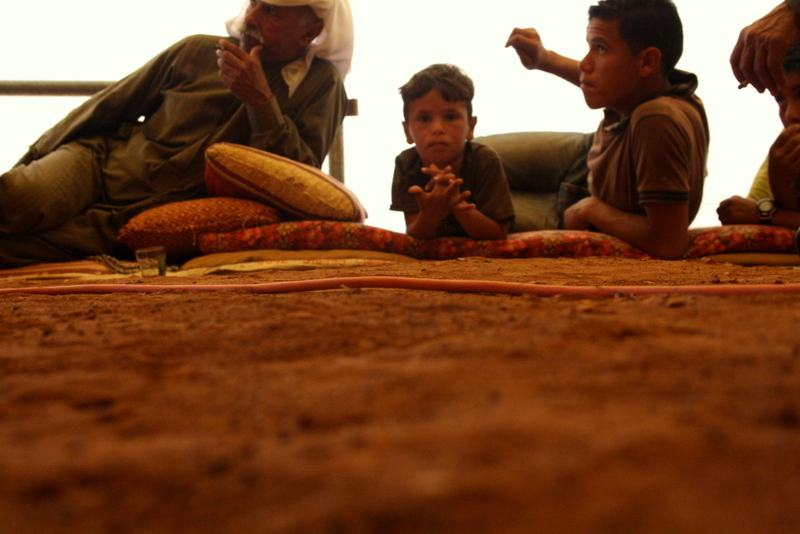 As we left Abu Dirgham told us of the impact he felt the screening had made on the community members, and insisted that next time we return we screen on site in their communal Bedouin tent. After several hours of travelling, we hit the anticipated desert terrain at Dqeyqa and bumped along for half an hour, wincing each time another piece of equipment rattled disconcertingly from the boot. As we pulled up we again noticed the reserved nature of the children confronted with people from outside of their tribe, but after an hour or so of time spent their trust was gained a little more and they shyly showed us around their herds of camels and livestock. Yet again settlements were a stone’s throw away, the angular architecture of the settler houses striking a stark contrast to the dismantled bedouin structures left in the wake of the armed Israeli Defence Forces. 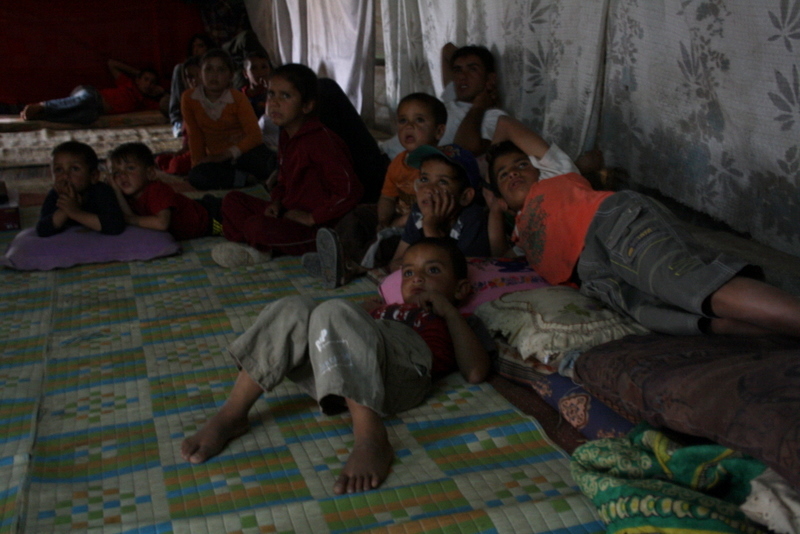 In a tiny room without electricity we screened the children’s films followed by A Nomad’s Home, struggling between ventilating the tiny hot room and keeping the daylight out! But our audience remained undeterred, glued to the screened until the credits rolled. Next we travelled half an hour to a neighbouring tribe who led us to a small newly built school, financed by the UNDP. Here the children came in floods, confused and fascinated by the equipment that we carried into their classroom, many jostling to help carry each piece. Over 100 men and children packed into the tiny classroom, but just as the children’s films began to get underway we heard a disheartening backfire, and the generator was down. There was a tense 20 minutes as all the men from the community rallied round with odd tools and various wires and began to dismantle the generator. Our team stood by on tender hooks watching as our most expensive bit of equipment became several pieces, until finally it was declared that the whole thing had been successfully rewired, and the screening could begin again. A cheer went up as the whirr of the generator was heard again from the classroom, and we watched as some of the smallest children tried to grab at the images dancing on the screen. This time we chose to screen I am in Jerusalem, which was well received by the elders of the community, and Sheikh Yousef was keen to tell us how important he felt these screenings were, that, because of the physical and cultural isolation they experience their tribe is somewhat ignorant to other cultures and urban ways of life, and he felt that the cinema was a great way to experience new cultures while facing the restrictions of physical movement that are currently imposed on them. 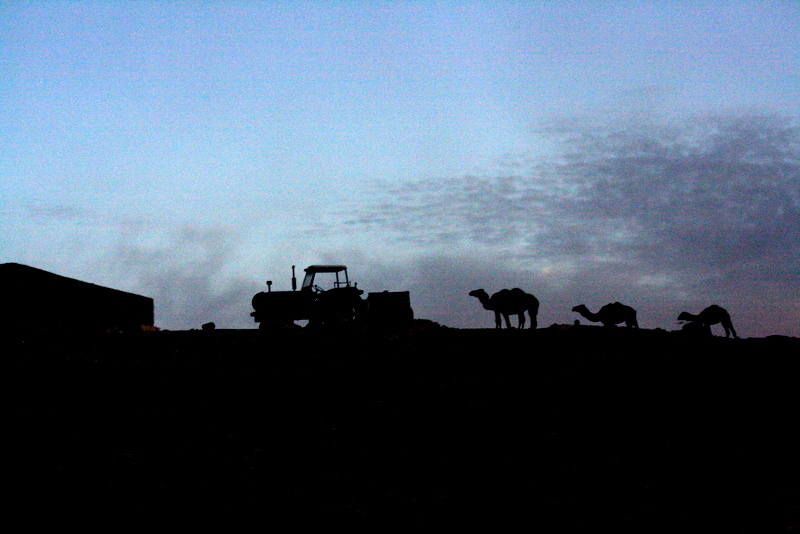 As we began to pack away the sun was setting, and from the peak where we sat some of the men pointed out parts of the desert that they used to travel freely, herding their livestock, now sectioned off and forbidden to them. On Wednesday 4th we made the two hour journey from Ramallah to an area just past Hebron where the Il Hatheleen tribe live. Upon arrival we noticed that the children were somewhat more reserved to see people from outside of their community than those at Anata had been. The children approached us warily, keeping a guarded distance, which was only explained later by Bilal, an outspoken 25 year old Bilal from the community. Bilal was eager to show us the shockingly close proximity that they were living to a large Israeli settlement, and how, in recent years, illegal settlement houses had been built as close as two metres from the tents of his community. 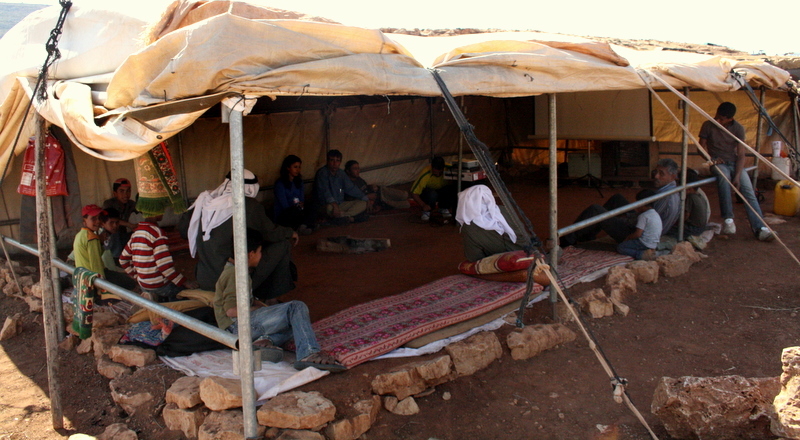 This has resulted in a huge amount of hostility and violence from the settlers, which, combined with the frequent destruction of the tribe’s tents and tin shacks by the israeli army, has led to the children of the community becoming extremely wary of outsiders. Bilal also talked to us of his thoughts about the importance of cinema for allowing the people of his community insight into other cultures, and told us of a family member now living in a nearby village who has learnt perfect English from watching un-subtitled films on a black and white 12″ television. During the day we made two screenings, in two different communal gazebo tents, both of which proved to be a logistical challenge due to fact that so much light was let in where there were no side panels to the tent. But, as usual, the community was on hand, gathering all that they could to block out the light and eventually succeeding in creating the darkness needed for a cinema experience. Trying to block out the light! 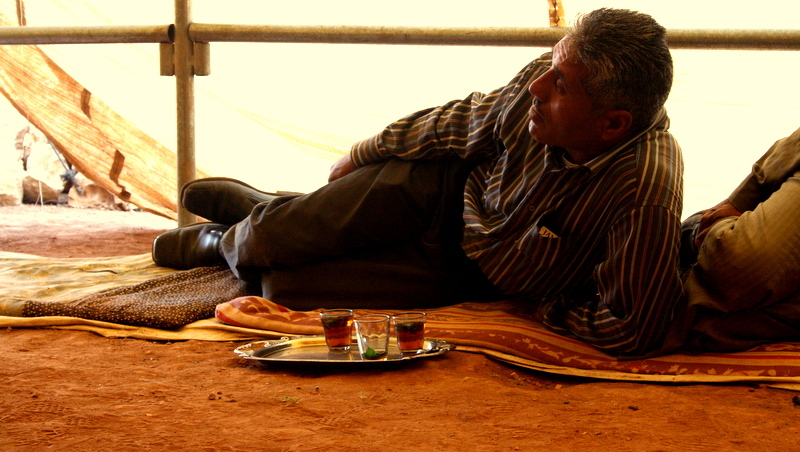 Unusually some women were present at this screening, many of whom particularly enjoyed A Nomad’s Home for its portrayal of a working woman in a bedouin community. However, as always it was hard to please everyone, and others found the film too slow, lacking the fast visual pace that they had anticipated. 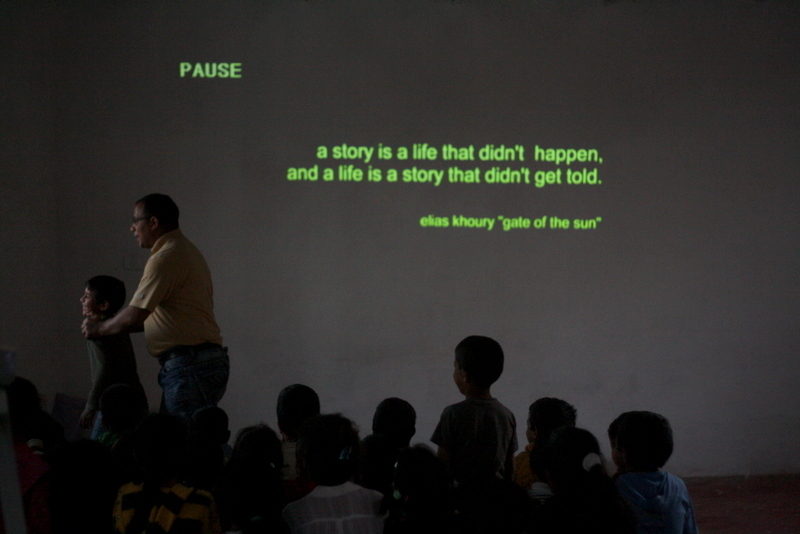 The children’s films, though, were a big success and the young audience laughed and cheered at the different animations, even joining in by making their own shadow puppets from the light of the projector. 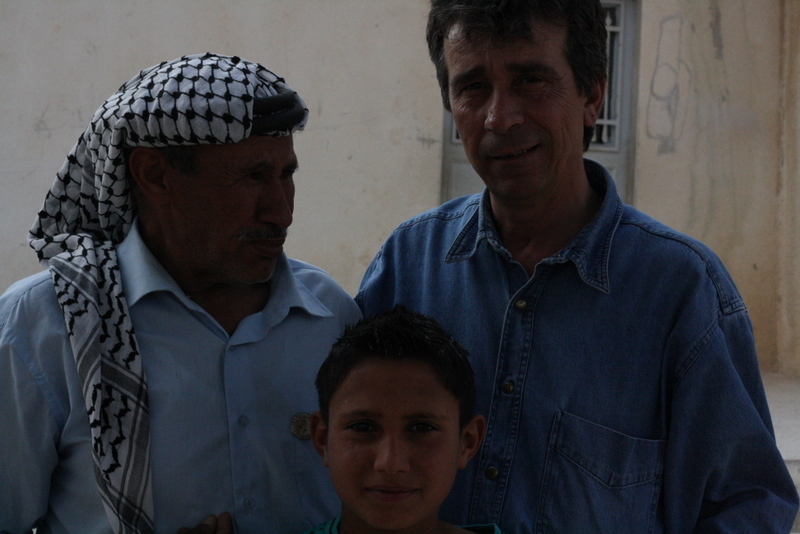 On Monday 2nd May we made the short journey from Ramallah to Anata, a small village outside of Jerusalem on the outskirts of which the Khir Shan bedouin community have been forced to settle. Upon arriving we were led to a small community centre and were happy to find some lovely whitewash walls, perfect for screening a film! 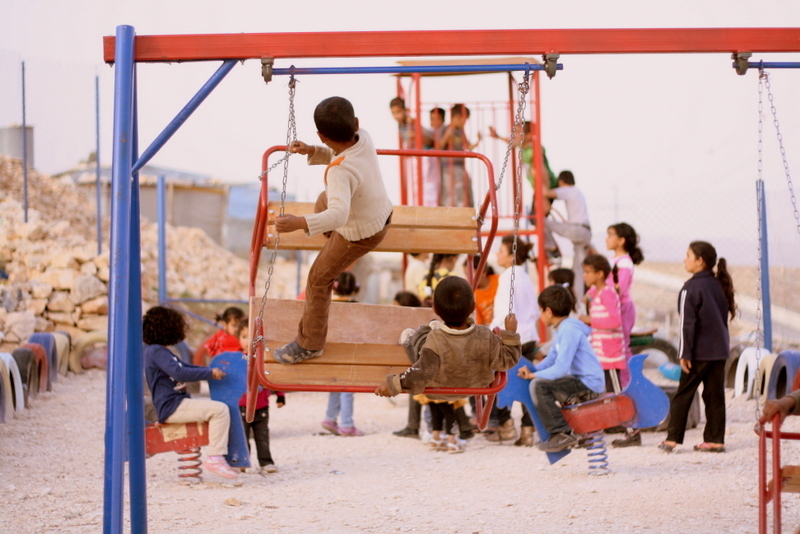 Of all the communities we are to visit this is one of the more modern living, complete with a play park, community centre and electricity, however, they still live uncomfortably close to the ever-growing settlements that are springing up around them. A tentative trickle of mainly men and children soon became a growing crowd as word spread that we had come to screen a film. However, unfortunately the screening wasn’t to be and after a few technical hitches we were eventually faced with a full scale power cut. 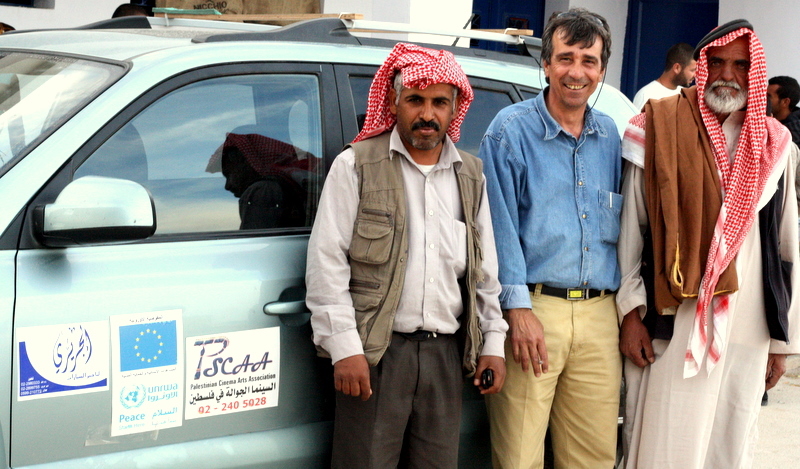 After some deliberation we decided that it was too late to get the generator up and running, so agreed with the local Sheikh to return the following week. Playing games while sorting out the technical problems! A few sweet teas later and our reliable 4×4 was making its way back across the rocky terrain, herded out by swarms of excitable children. In Brief – who are we? 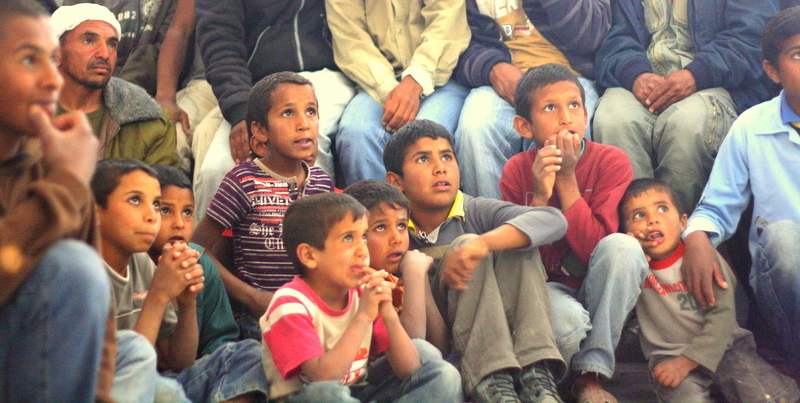 The Palestinian Mobile Cinema is one of the primary initiatives of the PSCAA, and was established in February 2008 to provide a regular, accessible opportunity for Palestinians in the West Bank to watch movies. 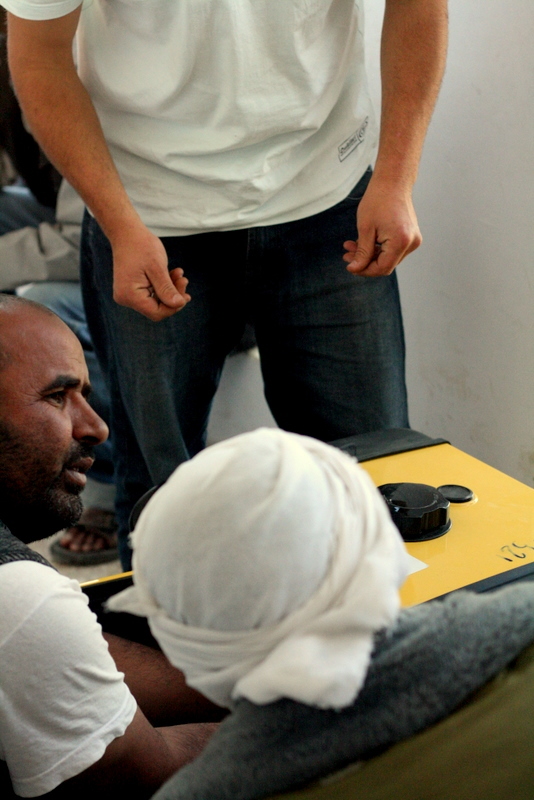 The project transports a mobile screen and projector into communities that have no access to cinemas.